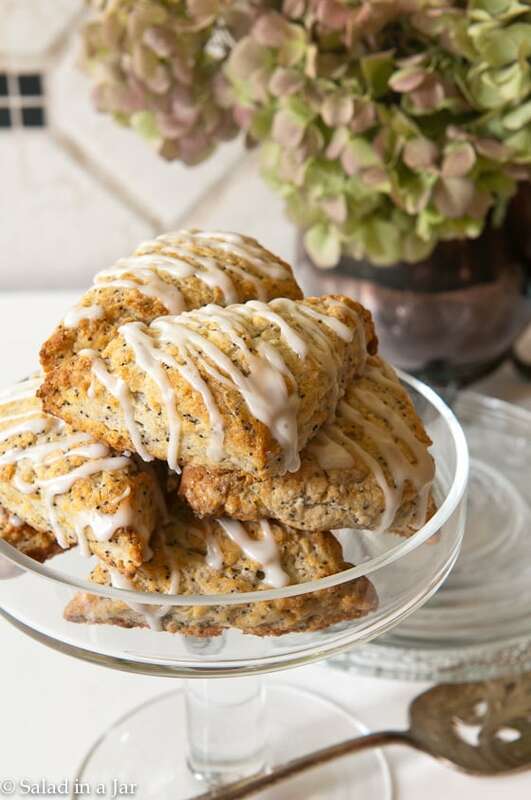 Lemon Poppy Seed Scones: A Fabulous Way to Start Your Day! 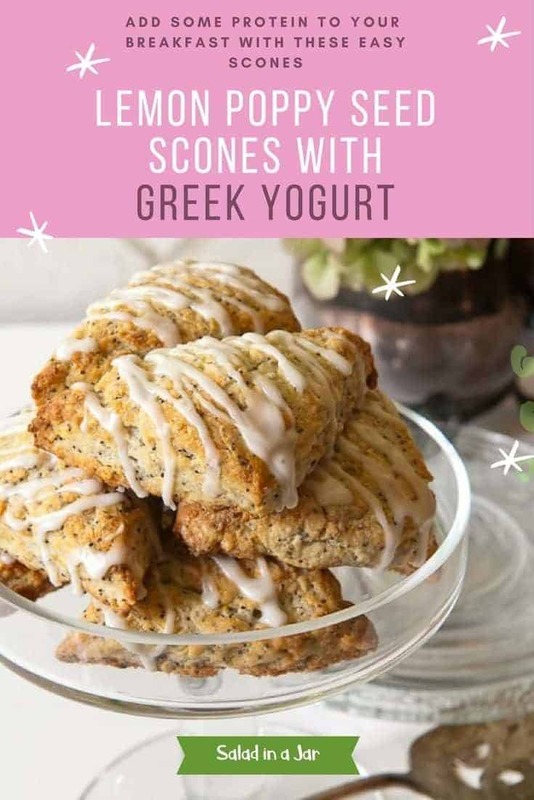 Lemon-Poppy Seed Scones with Greek Yogurt are made with Greek yogurt along with poppy seeds and lemon zest. Make ahead and freeze. Bake when convenient. It’s a great way to start your day. For the last two months, my 4-yr-old grandson would holler that question as he descended the stairs every night after his bath before going to bed. This past weekend, my son, daughter-in-law, and their two sons moved out of our home where they were living temporarily between houses. Admittedly, it’s nice to have our house back to ourselves, along with peace, quiet, and less clutter. Nonetheless, I sure do miss a few things. Moments like the kiss-kisses, 11-month-old baby chatter, worm-crawling, and the excitement of a child when anybody walks in the door are priceless. My daughter-in-law is a wonderful and prolific cook so I didn’t have to spend a lot of time in the kitchen while they were here. In addition, having help eating special treats when I decided to bake was much appreciated. Yes, You can make Lemon Poppy Seed Scones ahead and freeze them. This scone dough is ideal for mixing and shaping ahead of time. Perfect for saving time on a busy or lazy morning. 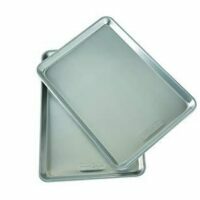 Consequently, these are ideal for serving overnight house guests. What is the advantage of using yogurt? I also love using homemade Greek yogurt (of course, you can use store-bought) in this recipe. Adding yogurt translates to higher protein and less fat than the sour cream or whipping cream usually called for in a traditional scone. You don’t have to cut them like I did in the picture below, but it’s one way to do it. 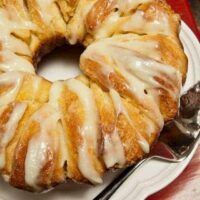 If you don’t want to ice them, serve with lemon curd, softened butter, or your favorite jelly. 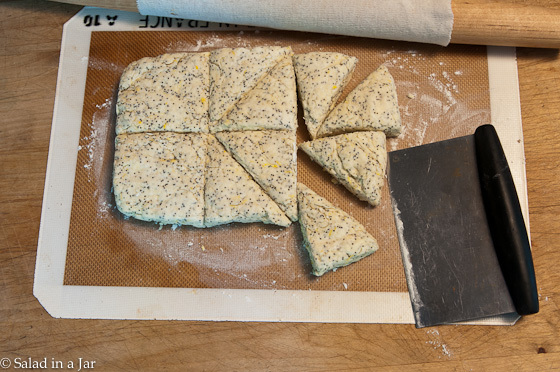 Roll or pat the dough into a 5 x 8-inch rectangle and cut into 12 pieces. Greek yogurt takes the place of heavy cream for a shot of protein with less fat. You won't miss it. In bowl of stand mixer, combine flour, sugar, poppy seeds, lemon zest, baking powder, baking soda and salt. Add butter and mix 30-45 seconds til' butter is in smallish, irregular pieces. Add Greek yogurt and 1/4 cup of lemon juice. Stir together by hand until dough comes together in a ball. 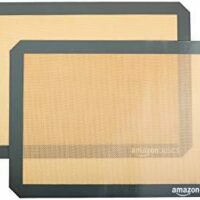 Dump out onto a piece of plastic wrap or floured towel and shape with your hands or a rolling pin into an 8 x 5-inch rectangle about 1-inch thick. Dough may be a little crumbly--gently squish it together with your hands. Cut in half the long way. Cut again crossways to make 6 pieces. Divide each square on the diagonal to make 12 small scones. 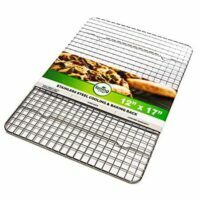 Place onto a cookie sheet covered with a silicone mat or parchment paper. 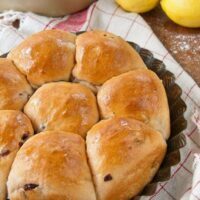 While scones cool, stir remaining tablespoon of lemon juice into confectioner's sugar until smooth. Drizzle over scones. I like to freeze these on a cookie sheet. Once hard, remove to a plastic bag. Pull out what you need and put directly into hot oven. Allow a few extra minutes baking time. These simple scones benefit from the addition of fresh blackberries and a blackberry frosting. Yum!! Make this easy lemon curd in the microwave. 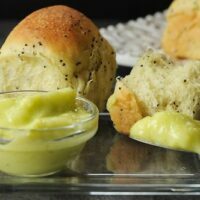 Use in recipes or apply straight to your favorite rolls. 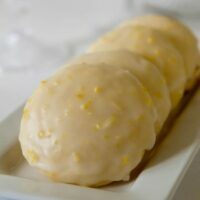 A mildly-flavored tea cake with a lemon twist. Frosting makes these memorable. 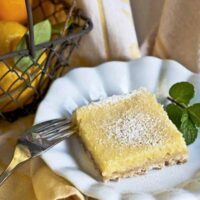 Hello Paula, Have just discovered your website – wonderful recipes. I will be crazy baking this week end for the family, and also your bacon wrapped chicken – thanks so much for sharing. Maria, London. …And you’ve just answered my “what the heck am I gonna do with all this Greek yogurt?!? !” question! THANK YOU! 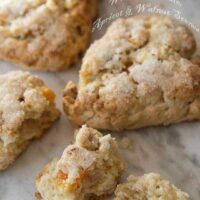 These are delicious scones! The lemon flavor is just right. I did add a bit more sugar (1/3 cup) because my husband likes his scones sweet. Great recipe! Thank you. Thanks, Pamela. I think you have the scones figured out. Once frozen, I remove the little triangles from the cookie sheet and throw them in a plastic bag and back into the freezer. When you are ready to eat, preheat your oven and put the frozen triangles on your cookie sheet and straight into the oven. No need to thaw. They will need a few minutes longer to bake. Want a super fun blog? Check out “Cooking With Mr. C.” on WordPress and on Facebook. It’s a great blog just like yours. 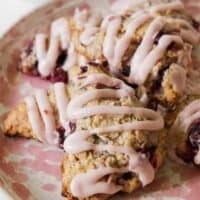 Connie R.
Beautiful scones! Something I still have yet to make. 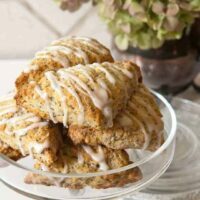 I love scones, lemon and poppy seeds and these are especially yummy looking. I have frozen baked scones and popped them into the microwave for a few seconds to thaw/warm but this is a nice way to have them handy. I can imagine how you are missing those sweet little ones and the precious love they give each day. I can’t believe your grandson is four already!